I Just Got Married, I recieved my certified copies from the county clerks office, How do I change my Name? This information is for California residents only. You should do it in that order. See below for further instructions. You must fill out and print an Application for a Social Security Card. Take your application and documents to your local Social Security office. • Current form of ID: a U.S. State ID, U.S. Driver’s License, OR U.S. Passport. Please also note: If you have not already established U.S. citizenship with SSA, you will need to show proof of this; SSA will accept the following as proof of citizenship: original U.S. birth certificate OR U.S. passport. Complete a Driver License or ID card Application (Form DL 44). Get the form in person at the DMV or have it mailed to you by calling (800) 777-0133. Provide your marriage certificate as your proof of name change. 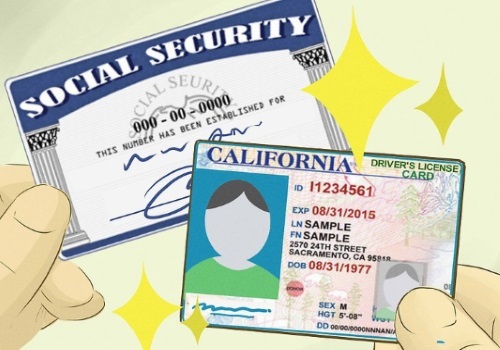 Surrender your old CA driver’s license or ID. You will also need to pay a fee of $27 or $29.